"One may live without material discomforture, but at the same time he should learn the art of loving Krsna. At the present moment we are inventing so many ways to ultilise our propensity to love, but factually we are missing the real point, Krsna. We are watering all parts of the tree but missing the trees's root. We are trying to keep our body fit by all means, but we are neglecting to supply foodstuffs to the stomach. Missing Krsna means missing one's self also. Real self-realization and realization of Krsna go together simultaneously. For example, seeing oneself in the morning means seeing the sunrise also; without seeing the sunshine no one can see himself. 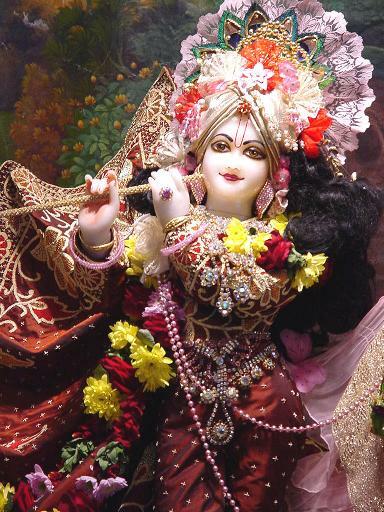 Similarly, unless one has realized Krsna there is no question of self-realization."